Today, SIPs or Systematic Investment Plans are gaining popularity among Indian MF investors. With a plethora of initiatives that are converting consumers into investors, these investors are now aware about the power of making the best bang from their buck through a simple Systematic Investment Plan. Here on, investors have started opening SIPs for themselves and their family members, ensuring that their financial future is secured. Opening an SIP is just one step towards achieving financial security. The key lies in choosing the right SIP based on your financial goals. It is integral to set the right targets and ensure that the selected mutual fund scheme stays in sync with one’s financial goals. In addition, investors also need to keep their portfolios balanced and asset allocation in line with their goals. 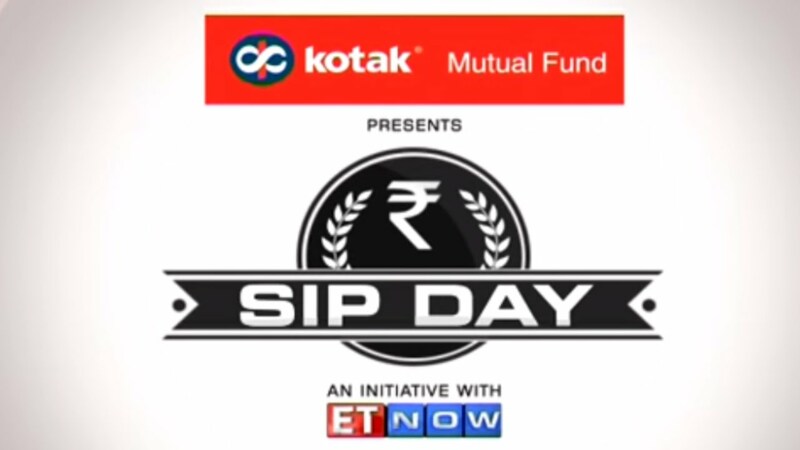 Taking onus of this, SIP DAY, the financial revolution kick-started by Kotak Mutual Fund & Times Network, continues its efforts to empower Indian investors by guiding them in choosing the right SIP that can bring them the best market returns in a long term scenario, especially during volatile markets.